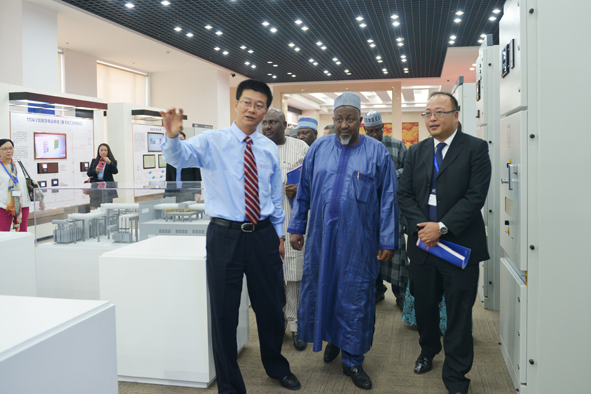 October 21th, Mr. Abubakar Mohammed Badaru, the H.E.Governor of Jigawa State led the delegation of Jigawa Government from Nigeria, accompanied with the chairman of Lee Group, paid a visit to Daqo Group. The Deputy President Cai Bin participated the reception. Jigawa State is the important area in North Nigeria with wide electricity market prospects. Lee Group invested in Africa for decades and has many state-owned investment entities in West Africa. The Delegation visited Zhenjiang Daqo Solar Co.,Ltd and other main subsidiaries, they are deeply impressed by Daqo’s cabability, high-quality products , the complete industrial chain and gave high evaluation. 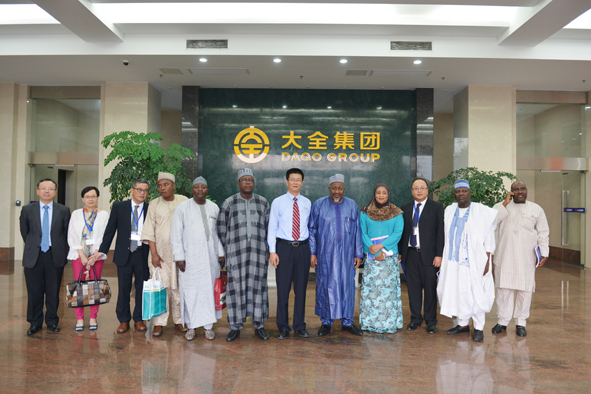 The International Business Department of Daqo Group and the delegation from Nigeria focused on the cooperation and development of electric market in Nigeria and the use of solar power generation facilities in the agricultural sector. This visit is a good opportunity for Daqo to step into Nigeria Market.